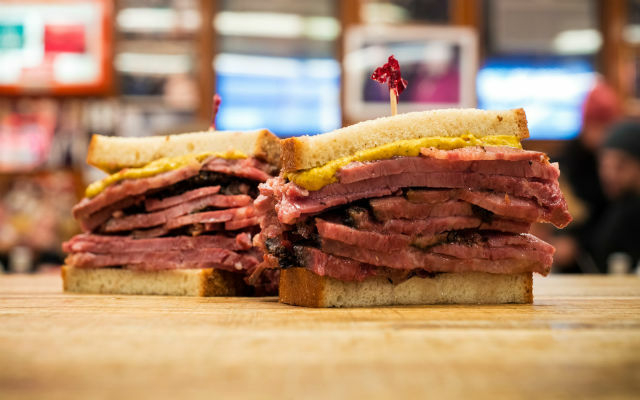 There’s big news on the New York Jewish deli scene. After more than 120 years as a stand-alone institution on the Lower East Side, Katz’s Delicatessen is becoming a chain. It’s not quite Ben’s Kosher Deli, which currently boasts seven locations. But The New York Times reports (via Gothamist) that Katz’s will cross the East River and open a new outpost in the upcoming Dekalb Market, a 60,000-foot food hall currently under construction. Dell is the 27-year-old, third-generation owner of the deli, who admits to sampling Katz’s corned beef and pastrami at least once a day. His family took the restaurant over from the Katz family about 30 years ago. The best place to find vegan and gluten free Jewish deli favorites in New York City.